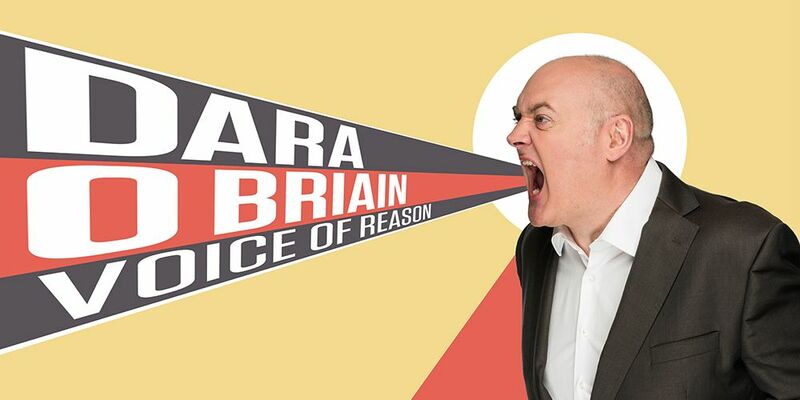 Due to phenomenal public demand, one of Ireland's funniest comedians, Dara O Briain is returning to Australia in 2019 with his new show Voice of Reason! O Briain is a stand-up comedian and television presenter best known for BBC’s  Mock the Week, Ireland’s The Panel, Stargazing Live, Robot Wars and Dara O Briain’s Go 8 Bit. It has recently been announced that Dara will be host of the re-booted classic quiz show Blockbusters, with two series due to be broadcast on Comedy Central in 2019. With a reputation for his stand-up worldwide, O Briain sells out his shows all over the UK, Europe, Australia and New Zealand. His first book Tickling the English, released in 2009, proved to be an instant hit, remaining in the charts for nigh on two years after release and has since published two very successful children’s books. He has also released 4 best-selling DVD’s with Universal Pictures. "One of the most dependably entertaining stand-up comics in the land"
"Worked the stalls like a puppet master"
"O Briain has a laser eye for the absurd and the spurious"
"His set is a masterclass in intelligent, no-frills stand-up"
"Sharp wit from a superfit mind"